A garden that is dementia friendly supports the needs of a person with dementia, and makes it easier to go outdoors, get fresh air, do outdoor activities, and socialise with family and friends. 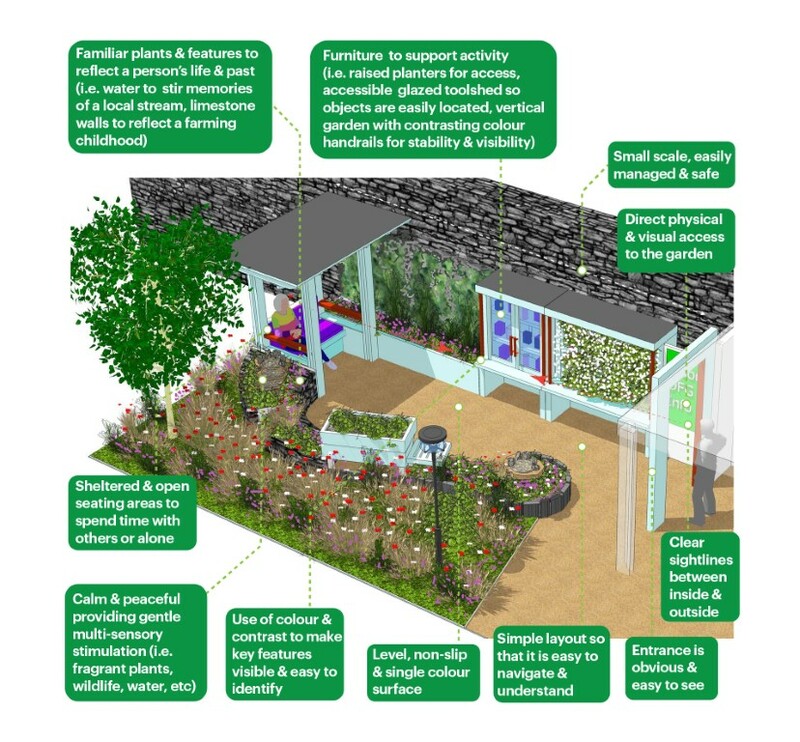 Below are some key dementia friendly garden design principles, developed by the Dementia Friendly Garden Team of Engaging Dementia, Newtown Saunders and TrinityHaus, that anyone can incorporate to transform their outdoor space into somewhere that everyone can enjoy. Safety – try to make the garden safe and enclosed and ensure that there is a clear line of sight between the garden and the house so that a person can see and be seen. 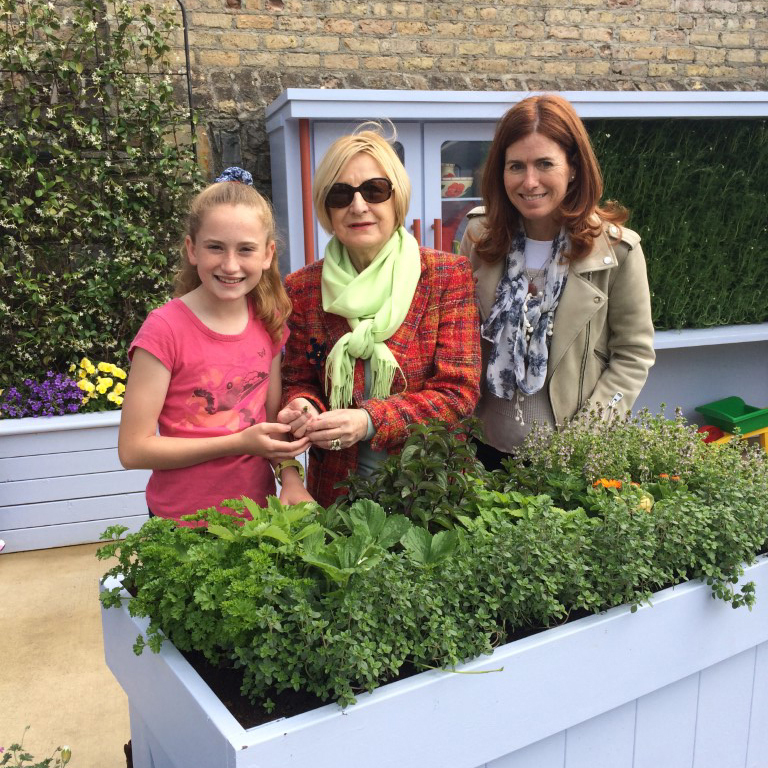 Familiar features – make the garden personal and include items in the garden that connect with the person’s past, for example, a vegetable patch, a bird table, a fish pond or a water feature. Opportunity to relax – provide shelter and seating in the garden so that a person has the opportunity to sit back, take it all in and enjoy time out with family and friends. Easy to potter – store gardening tools and equipment in a location that’s easy to find and access.